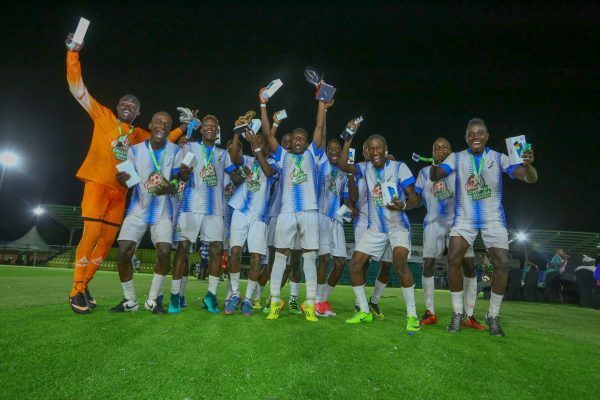 Crowd favorites Shimazi Youth, emerged the winners in the boys match after beating Maweni United from Malindi by two goals to one within regulation time. Cedrick Asmani netted the first goal for Shimanzi Youth giving the home team an early lead at 35th minute. Safari Juma scored the second goal at 45th minute to seal the win for Shimanzi Youth. Okwaro Dennis scored the consolation goal for Maweni United at 74th minute. 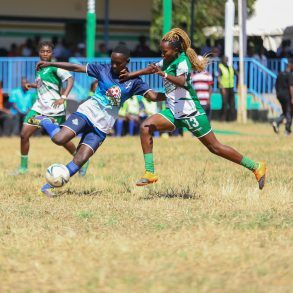 Changamwe Ladies on the other hand, clinched the top spot in the girls’ category after beating Malindi’s Solwogidi one goals to nil, thanks to Issa Hadwa last minute header.